Imagine you’re out in your local town centre, asking members of the public what comes to mind when they hear the word ‘Bible’. What kind of responses would you get? Probably quite a lot of words like ‘comforting’, ‘insightful’, ‘inspired’. And more negatively perhaps, ‘boring’, ‘outdated’, ‘bigoted’. One thing’s for sure, everyone would have something to say on the matter. But I wonder if anyone – even amongst the Christians you met – would offer up the adjective ‘purposeful’. Not many I suspect, which is a shame because that’s one of the key ways the Bible describes itself. Take 2 Timothy 3:16, for example: ‘All Scripture is breathed out by God and profitable for teaching, for reproof, for correction, and for training in righteousness…’. There are no wasted words in the Bible. The whole book is God’s way of revealing himself to us, and then transforming us from the inside out in light of that revelation. It is powerfully purposeful. When we get hold of this truth, it transforms the way we approach any passage in Scripture. Suddenly we find ourself asking questions like, ‘What was the author’s intention in writing this bit?’, ‘What do they want me to take from it?’, ‘What are they wanting to accomplish in me as I read it?’ We can be sure that asking these questions will never set us off on a wild goose chase – nothing has been recorded just because it happened or because it sounded nice. Everything is included for a reason. What a great motivation to dig down into our Bibles, whether that’s as an individual in a quiet time, or as a group member in a Bible study, or as a pastor in preparation for Sunday. As we come to understand the point the author is making, so through that God will achieve his purposes in our lives. It’s crucial that we remember that Bible study is never just about us working something out. Reading the Bible is a relational activity; one where we have the unrivalled privilege of being spoken to by the living God. Before we get stuck into a passage, we need to pray and claim that incredible promise. But we must also remember that it’s a relational activity where one party (us!) comes with all sorts of negative baggage. We are by nature slow to hear and accept and rejoice in what God has to say to us and so we need to pray that he would help us to listen to him. On our own, we may be able to draw some surface-level conclusions about what is being said but we won’t really understand what God is saying and his purpose certainly won’t be accomplished in us. John Piper suggests a very helpful series of prayers from the Psalms (with a memorable ‘IOUs’ acronym) that express these needs that we have. Why not make them your own? Here’s the thing though. Even on one of my better days when I get up in time to have a quiet time and when I remember to begin by praying, I often read through that morning’s passage and think ‘I haven’t got a clue what to make of that. Why on earth did this bit make it into Scripture? !’ And sometimes I’m tempted to give up there and then. But to do that would be to over-spiritualise the act of reading God’s Word. Yes we must pray but we must also probe. The meaning and relevance aren’t necessarily just going to jump off the page at us. We need to think and analyse and be prepared for it to be hard work! As we do that, so God will grant us understanding. Re-reading: Simple I know, but the more we read something the more we notice and take in. Don’t believe me? Go back and re-read an article in this magazine. Maybe even try reading it out loud (warning: this may be inappropriate in certain social settings!). Structure: Ask yourself, how have these verses been arranged? If you’re in a New Testament letter or an Old Testament prophecy, is there a logical flow to the argument, such that you can break it down into more manageable stages? If you’re in a section of narrative, what different events are recorded? Why might the author have included them together at this point (the answer isn’t always just that they happened one after the other!) – are they drawing attention to the same thing by repetition or are they there to make a point by contrast? Context: Ask yourself, what did I read in the previous passage yesterday morning? Does that help me to understand what is going on here? Are there any familiar themes that pop up again? If so, how are those themes being developed? You’ll also want to ask the context question on a much bigger scale – where does this passage come in the overall Bible storyline? Most crucially of all, is this before or after Jesus? How does that help me understand the author’s purpose? For more of these ‘tools’ and a worked example of their use in Mark’s Gospel, see the Dig Deeper book below. Whether you have 10 minutes or two hours, this time spent probing will be a rewarding process. You’ll start to see what the author is emphasising, start to discern the point that the author is trying to make. And as you do that, so you will be hearing God’s voice much more clearly than on that first read through. Probing is not the end goal though. We want to take our bible study one step further and also be people who ponder. If probing helps us hear the message, pondering helps us apply the message. Truly Christian Bible study will see us being changed by what we hear, whether that be in our thinking or our attitudes or our actions. Here are some questions to help us ponder: How does what I’ve just learnt encourage me? How does it challenge me? Do I really believe this? What might look different today if I take this to heart? The brilliant thing about pondering is you can take it with you into the day. I often have some of my best ‘what will this mean for me?’ thoughts whilst out riding on my bike. Maybe for you it’s whilst walking the dog or cooking the evening meal. And of course we can use each other to ponder – ‘The Lord taught me this today. What do you think it will look like for me/you/us to live that out?’ However you do it, the act of pondering will help God’s Word really go to work in us. 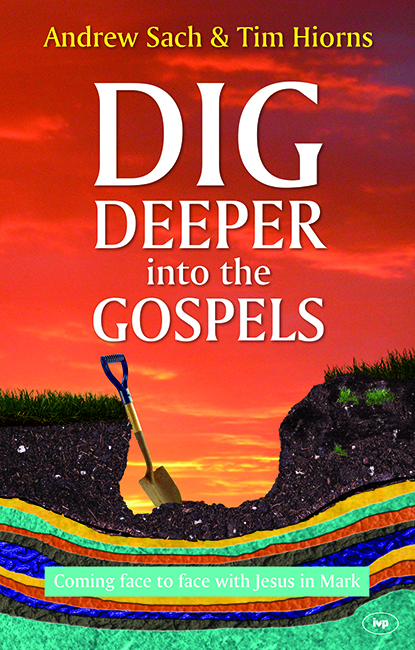 Tim Hiorns is a student at Oak Hill Theological College and co-author of 'Dig Deeper into the Gospels', a book written with the aim of helping everyone prayerfully ponder and probe.